​Coming off the back of a straightforward 3-0 win at Fulham, Manchester United now turn their attention to French champions Paris Saint-Germain in what promises to be a momentous game for both clubs' seasons. Confidence has been high at Old Trafford ever since Ole Gunnar Solskjær's arrival, with United currently unbeaten in their last 11 games, only drawing once. While ​United have proved themselves against two of the top English sides - ​Arsenal and ​Tottenham - in recent weeks, the visit of PSG could be the toughest test yet for Solskjær. The Ligue 1 leaders suffered their first league defeat of the season last week to Lyon, but still retain a lead of ten points at the top of the table. The club has seen vast improvement and investment in recent years with the ultimate goal being to win the Champions League, so pressure is most certainly on PSG in this pivotal fixture. Here's 90min's preview of the Champions League clash. ​There are no new major injury worries for Manchester United. Victor Lindelöf missed the game at Craven Cottage in Saturday's early kick off, but Solskjær claimed that he should be fit for the Champions League tie. Matteo Darmian, ​Antonio Valencia and ​Marcos Rojo are all expected to miss Tuesday's game through injury. Each of them are hoping to return to action later this month. ​Neymar has been sidelined since 23 January with a recurring metatarsal injury to his right foot. He's expected to be sidelined for a while, with his return expected in around two months. Edinson Cavani has been ​ruled out for a month after a thigh injury during PSG's victory over Bordeaux on Saturday, along with Thomas Meunier who suffered a minor concussion and will need rest. Thomas Tuchel confirmed on Friday that Marco Verratti had 'trained without problems'. The Italian midfielder made his return to the PSG line-up against Bordeaux, his first appearance since the 19th of January. Layvin Kurzawa has also returned to training following his injury, and was included in the squad to face Bordeaux. Manchester United De Gea; Dalot, Lindelöf, Jones, Shaw; Matic, Hererra, Pogba; Lingard, Rashford, Martial. PSG Buffon; Kehrer, Silva, Kimpembe, Bernat; Marquinhos, Verratti; Di Maria; Draxler; Mbappe, Diaby. Manchester United and PSG have never met in a competitive fixture. Their only meeting was in the International Champions Cup in the pre-season of 2015, in which goals from Zlatan Ibrahimovic and Blaise Matuidi guided Les Parisiens to a 2-0 win. As we all know, United have been terrific since Jose Mourinho was dismissed and Solskjær arrived. We've seen the best of United, and in particular ​Marcus Rashford, ​Anthony Martial and ​Paul Pogba as United haven't lost since 12 December. The only real blip Solskjær has experienced was the 2-2 draw at Old Trafford against Burnley. 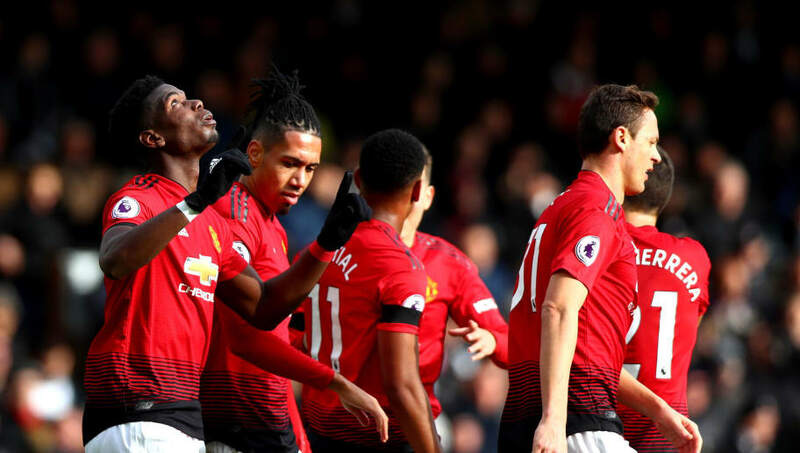 However, the Red Devils showed a fighting spirit until the final whistle to earn a point after initially being 2-0 down with just ten minutes left. Before beating Bordeaux 1-0 on Saturday thanks to Cavani's first-half penalty, PSG made it through to the next round of the Coupe de France against lower league side Villefranche with a 3-0 win in extra time, after initially failing to find a breakthrough in the 90 minutes. The game before, PSG lost away to Lyon 2-1, suffering their first defeat of the season. Manchester United are the very slight favourites to beat PSG at Old Trafford, and the home advantage may have a lot to play on what may be a testing European night for United. Despite PSG being significantly better than the rest of the competition they face in Ligue 1, it's United that are showing the more impressive recent from. With Neymar and Cavani missing from PSG's line-up, the emphasis will be on 20-year-old ​Kylian Mbappe to step up to the moment.